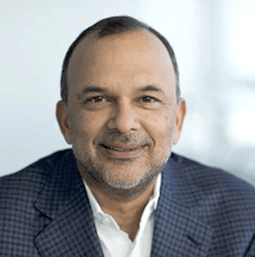 Earlier this week, Docker made the surprise announcement that its long-time CEO Ben Golub was stepping down and that former Concur CEO Steve Singh was stepping into his shoes. While this move surely came as a surprise to many, it was actually in the making for a while. Singh told me that he first talked to Golub and Docker founder Solomon Hykes last June, during the company’s DockerCon developer conference in Seattle. “They wanted to meet with somebody who’d built a substantive company,” Singh told me. At the time, though, Hykes and Golub were looking for a board member, not a new CEO. A few months later, Singh joined the board. “As I look at boards, what drives me is: do I like the opportunity the company is pursuing,” Singh said, and added that he also had to like the team, too, of course. “A small handful of months after I joined the Docker board, Ben broached the prospect of me becoming the CEO,” Singh recalls. At the time, though, he wasn’t interested in the position and instead told Golub that he didn’t see the need because, in his view, Golub was doing a great job. Golub clearly didn’t let that thought rest and a few months later, he again approach Singh. “This led to an in-depth conversation because I had the good fortune of scaling a business before,” said Singh, who finally accepted the position after the board approached him, too. “The opportunity is gargantuan,” Singh said about Docker’s prospects. He noted that Docker is definitely a different kind of company than Concur, but he also sees a number of similarities. Concur’s clients, too, were enterprise customers, and that’s also the kind of customer Docker is aiming for (though in his definition, any corporate client falls into the “enterprise” category, no matter the size). Singh also stressed that he likes the community aspect of Docker, which recently launched its new open-source initiative. Docker’s relationship with its community — and the open-source community at large — definitely had its ups and downs over the years. “Can we do a better job for our community? Of course,” Singh said. Looking ahead, Singh says that he currently has three objectives for the company: continue to innovate, both in open source and in the products it’s building on top of that; invest in sales and innovation for enterprise customers; and build a great company culture. He was quick to point out that he doesn’t believe the previous leadership didn’t do this, but that these are simply his priorities going forward. Singh is joining Docker at a time when it’s under pressure from new competitors, especially in the growing ecosystem around the Google-incubated Kubernetes project. He doesn’t seem to see this as a threat, though. In his view, in a market that is as large as the container-as-a-service market, you’ll always get multiple players vying for similar customers. In the end, that competition is good for everyone. He also stressed that Docker already allows you to mix and match its services and tools with those from other vendors. So for the time being, it doesn’t look like we should expect any dramatic changes in Docker’s strategy — at least not in the short term. The company was already on a path that focused strongly on expanding its reach in the enterprise. It’ll only continue to do so (likely with an expanded sales and marketing team) while also focusing on its open-source offerings at the same time.